Plus, SNK Heroines: Tag Team Frenzy sales top 300,000. 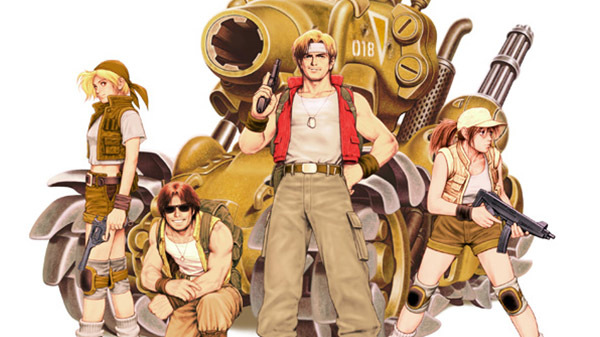 SNK Corporation chairman Ge Zhihui confirmed the development of a new Metal Slug for console and Neo Geo versions 2 and 3 during an investor relations press conference in Seoul. According to Ruliweb report, citing a question-and-answers with Zhihui, the new Metal Slug game is separate from the mobile game in development at Tencent. And while Neo Geo versions 2 and 3 were decided following higher than expected sales of Neo Geo Mini, they are unrelated to the device. In other news, Zhihui also confirmed that SNK Heroines: Tag Team Frenzy—which launched for PlayStation 4 and Switch in September 2018, followed by PC in February 2019—has sold 300,000 copies.